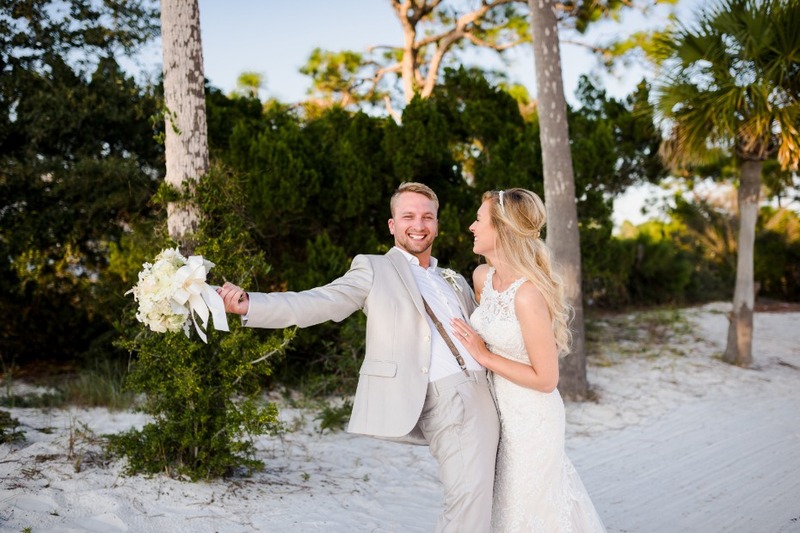 When people talk about Florida weddings, 9 times out of 10, they’re probably referring to Disney digs in Orlando, Tampa, Miami, the Keys, Marathon… Panama City Beach doesn’t usually top the list, but it should, for one good reason: Sheraton Bay Point Resort. 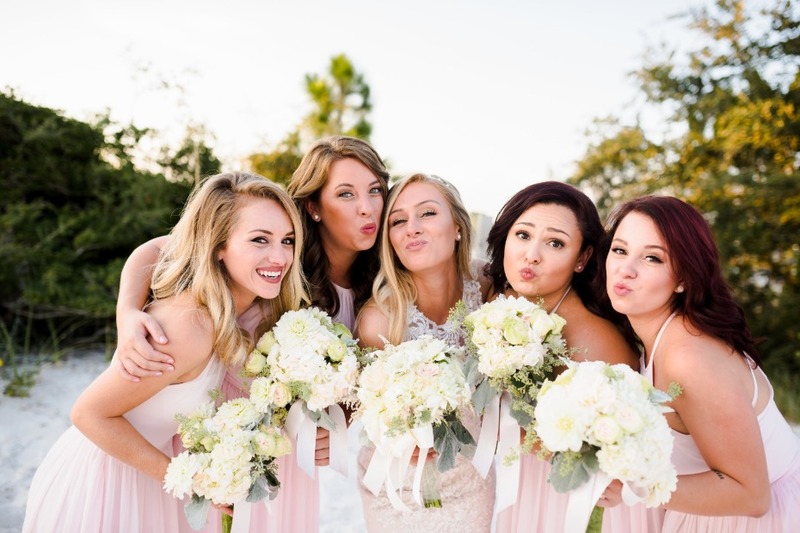 The AAA Four Diamond resort offers an exceptional selection of venues and a beyond-beautiful (really, just take a peek at the photos below) beachside location, making it a truly elegant and versatile choice for a Florida wedding. Oh, and if you and bae happened to Spring Break in PCB years ago, how great would it be to go back? Swap the shots for a much classier signature sip, reunite with some of your college besties, and exchange vows somewhere that really sparkles? We’re into it! Seriously, how beautiful is this setting? 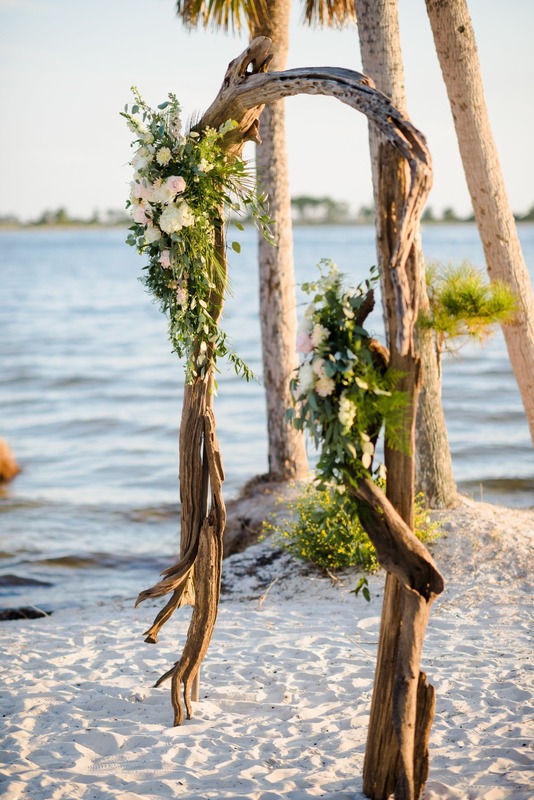 The sugar white-sand beach, the driftwood arbor (decked with stunning florals), the calm, waveless waterside view. It’s a dream. And the private bay beach? 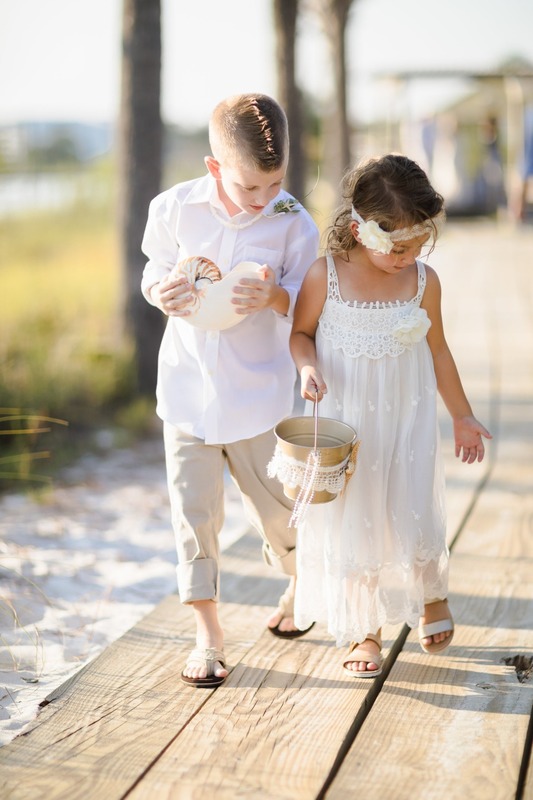 It’s yours for your special day when you book with Sheraton Bay Point Resort. Not saying you haveeee to get married on the beach, but OMG, why wouldn’t you, when you can do it like this. 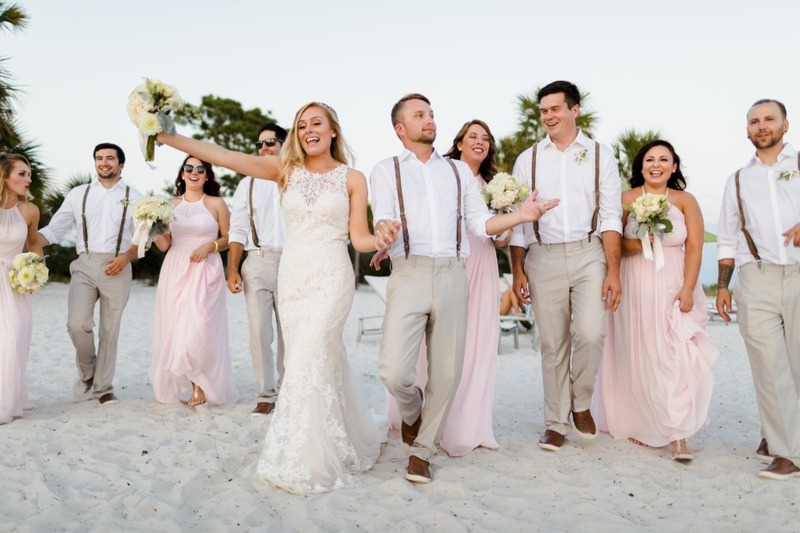 With palms trees, magical sunset scenes, a boardwalk stroll (that photographs like 👌👌👌) and the option to go even more intimate and remote with your ceremony - if you embark on their boat to Shell Island. There are also indoor venues, including two ballroom spaces that can each accommodate upwards of 750 guests - and each boasts an outdoor add-on, which basically gives you the best of both worlds. The most popular choice for couples getting married is actually The St. Andrews Pavilion & Lawn, which showcases views of St. Andrews Bay and a rolling lawn for a sophisticated reception setting. Just imagine a tented fête here with overhanging twinkle lights, a fabulous dance floor, and an fresco 🔥 pit for guests to gather round with their drinks and dynamo conversation. The biggest thing about a Sheraton Bay Point Resort wedding, though, is that you and your guests will undoubtedly have the most fun event ever. If you’re not gathering for your own cocktail reception at one of SBPR’s exclusive outdoor venues - the Grand Lagoon Deck or Bay Breeze Terrace - you can have one of your pre-wedding welcome soirees, rehearsal dinners, or post-wedding brunches. One and done just doesn’t happen here; it’s a whole weekend thing, with great food, amazing drinks, and lots of time spent with your nearest and dearest. Don’t their smiling faces make the good times glaringly obvious? Kind of reminds you of those #socollege days when you’d pose for pics with your roommates and best girls before an epic night out. 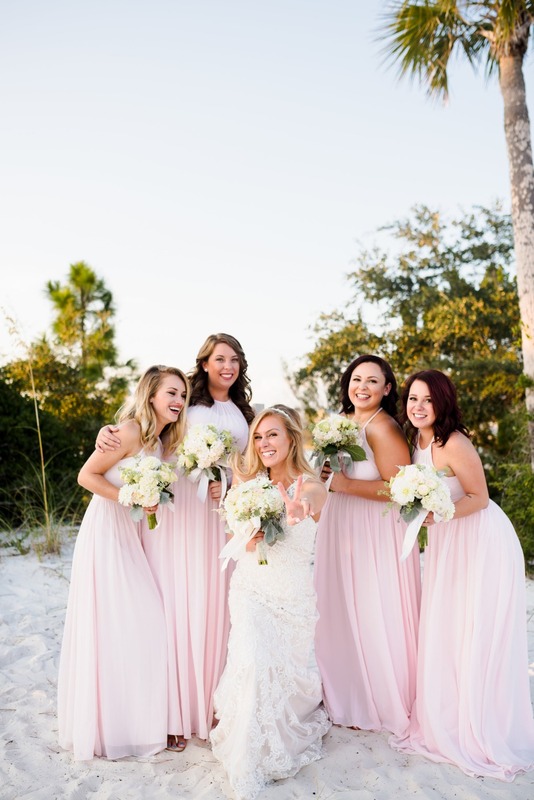 And whether you’re a Sunshine State native, or just plan on having destination nuptials on ‘The World’s Most Beautiful Beach,’ you can be sure that your wedding planning process is as cake as possible. You don’t get testimonials like this unless your ‘I Do’ crew is next-level. If you’re not ready to plan a PCB big day yet, we’re about to get you there. Book by December 31, 2018 and get 20% off on your dream destination wedding! 20P!! We partnered with the Sheraton Bay Point Resort to give you a look at an aisle that’s sure to make you smile. As always, thank you for supporting our sponsors!